Home/Tenant Finish/Greensfelder, Hemker & Gale, P.C. 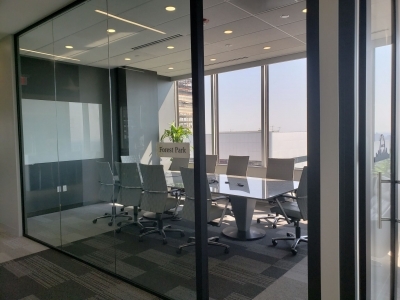 Greensfelder, Hemker & Gale, a prominent St. Louis law firm, occupies six full floors and a portion of a seventh in a downtown St. Louis office tower. 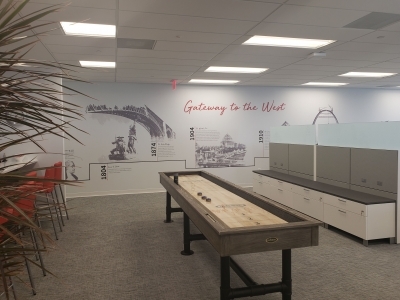 As the firm’s contractor of choice, ISC got the opportunity to display a multitude of its capabilities when undertaking the complete renovation of several of those floors. 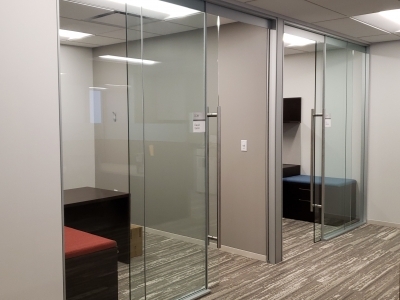 In addition to renovating restrooms, elevator lobbies and offices, the project included the addition if an internal staircase that would connect the floors, facilitating access for the firm’s attorneys and staff. This challenge required ISC to remove a portion of the concrete floor plate and reinforce it with structural steel. 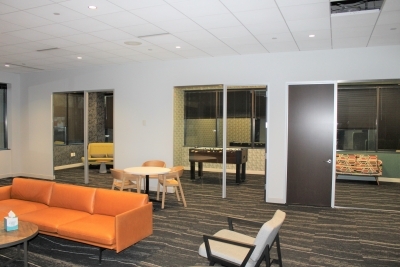 Other renovations included adding intricate wood trim and base on each floor. 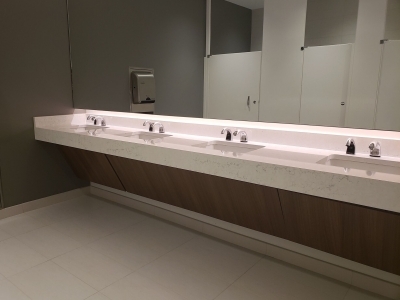 Project: Greensfelder, Hemker & Gale, P.C. 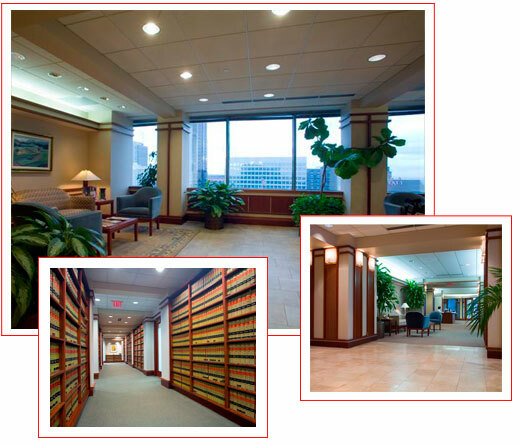 The challenge: To renovate several floors of a St. Louis law firm.